From underground exploration and artefact finds on the surface Bronze aged mining has been confirmed at a number of sites on the mountain. The techniques used were very different from those used by the C18th miners. An understanding of the techniques used by Bronze age copper miners has been gained in the last few years following discoveries at various ancient copper mines. It is known that bronze age man valued copper and bronze as both artistic and practical objects. The ore was gained by using only simple stone and bone tools. It is thought that initially raw metallic copper found on the surface would have attracted the ancients to the uses of copper. 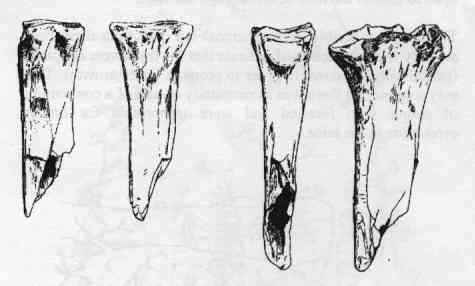 Before long they would have started to scratch away at the surface close to these raw metal findings with simple tools made of bone. At the Great Orme mine in Llandudno a number of bone scraping tools have been found. These would have been used to scrape away loose rock and stones from the ore vein. The bone tools would have been of use in soft rock. 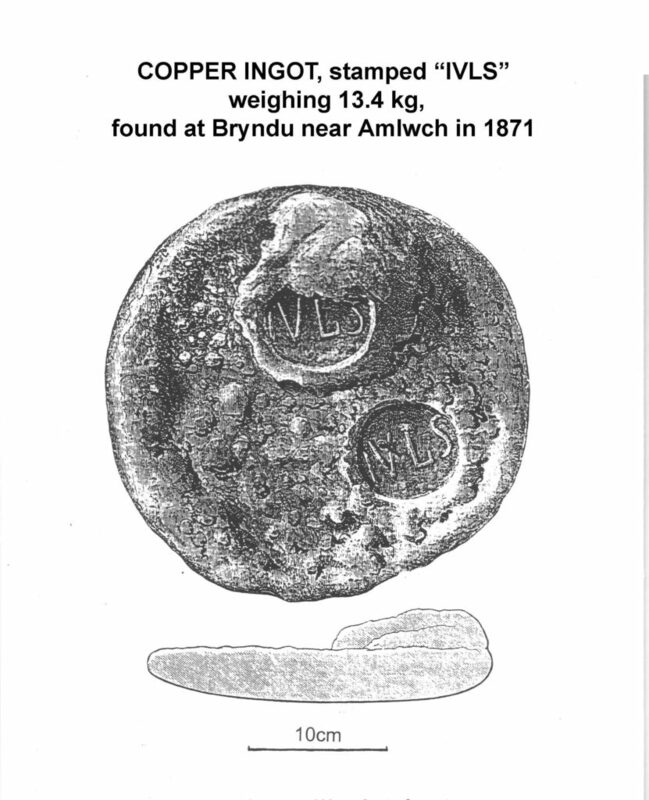 The rock at Mynydd Parys however is very hard and would have soon destroyed bone tools. In this area significant numbers of large beach pebbles have been found. The geology of the stone is different from the natural rock and studies suggest they may have been brought in from Porth Wen beach. 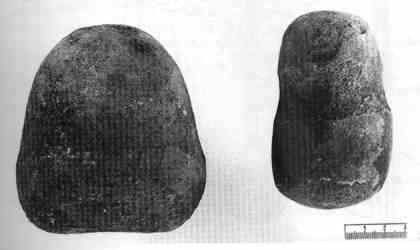 These hammer stones or mauls would have been used to pound against the rock to break it into smaller pieces. Most of these hammers would be hand held, however a few show “rills” which indicate where they may have been tied into a cleft stick to be used as a hammer. Where the rock was too hard to be broken up by the use of hammer stones the technique of fire setting would be used. For this wood would be piled against a rock face. A fire would be lit and the rock heated. Water would then be poured over the rock face causing it to crack and make the job of recovering the ore a lot easier. Initially the ore would be recovered only from the surface. 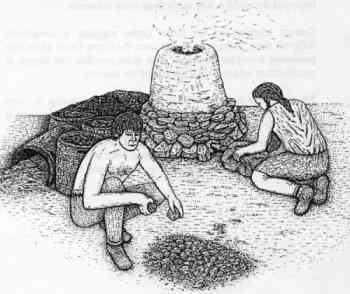 However later Bronze age man started to recover the ore from shallow open pits called bell pits. At Mynydd Parys the base of some of these bell pits have been discovered up to 50 feet underground. Radio carbon dating of material found in the bottom of the bell pits, underground at Parys mountain have returned a date of around 3500 years ago. It is amassing to think that Bronze age man was at work on Parys mountain so long ago. The type of copper ore recovered at Mynydd Parys contained the copper sulphur mineral called Chalcopyrite. Experiments have shown that if this is heated in an open fire some copper metal will be formed from the ore. However, this is a poor and inefficient way of recovery the ore. 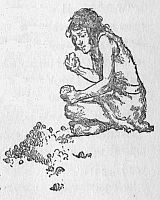 The ancients discovered that the ore was best processed by rough sorting and then crushing of the best ore with simple a stone pestle and mortar. 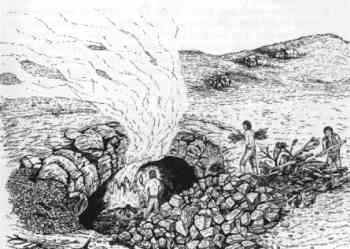 The crushed mixture would then be washed with water to recover the ore. A simple clay kiln would then be built in which the crushed ore was smelted to recover the copper. To obtain a high enough temperature in the kiln it is likely that charcoal and a bellows would have been required. The molten copper would be recovered from the smelter and after mixing with tin and further smelting would be cast as bronze objects. These ancient techniques worked well and the methods used out lasted the bronze age. The Romans also used the same techniques at other copper mines and many European mines continued to use them throughout the middle ages.